NutriBiotic Skin Serum is a highly concentrated blend of nutrients, including oat beta glucan and ingredients with antioxidant properties, that work together to moisturize and support the health of your skin. Shake well before use. Gently apple to your skin morning and night. 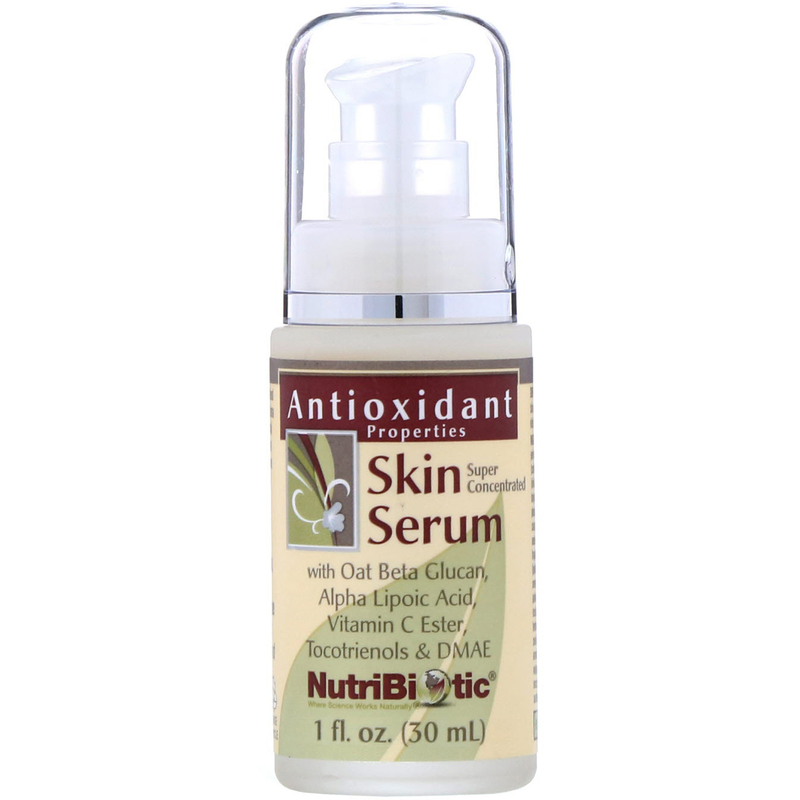 For optimum benefits, use with other NutriBiotic skin care products. Water (aqua), aloe barbadensis leaf juice, polysorbate-60, cetearyl alcohol, helianthus annuus (sunflower) seed oil, vegetable glycerin, olea europaea (olive) fruit oil, camellia sinensis (green tea) leaf extract, butyrospermum parkii (shea butter) fruit, magnesium ascorbyl phosphate, panthenol, cetyl alcohol, phenoxyethanol, glyceryl stearate, glycerol monolaurate, tocopheryl acetate, amodimethicone, theobroma cacao (cocoa) seed butter, natural fragrance, hyaluronic acid, allantoin, simmondsia chinensis (jojoba) seed oil, oat beta glucan (water, propylene glycol, and avena sativa (oat) kernel extract], alpha lipoic acid, ascorbyl palmitate, citrus grandis (grapefruit) seed extract [citricidal], tocotrienols, dimethylaminoethanol (DMAE), dipalmitoyl hydroxyproline, rosa canina seed extract, borage officinalis seed oil, linum usitatissimum (linseed) seed oil, algae extract, artemisia vulgaris extract, lupinus albus seed oil, triticum vulgare (wheat) germ oil unsaponifiables, lecithin (soy), macrocystis pyrifera (kelp) extract, xanthan gum, and ubiquinone (CoQ10). For external use only. 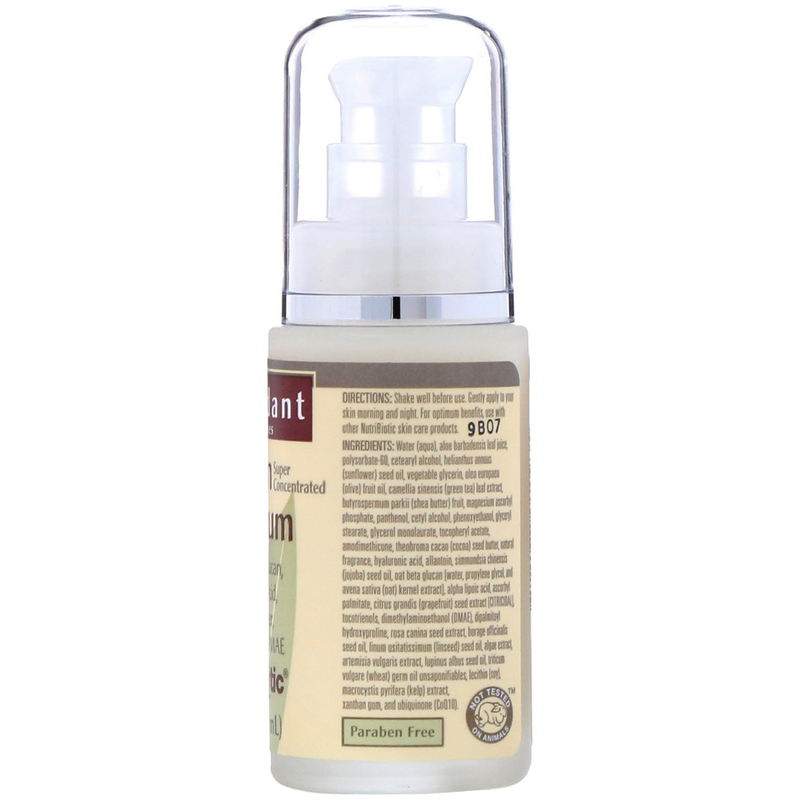 If redness, irritation, or other reaction develops, discontinue use. Avoid contact with eyes. Keep out of reach of children.